In February of 2018, 52% of global web traffic happened on a mobile device. Mobile traffic has outpaced traffic on both desktops and tablets. This shift in consumer behavior is forcing both traditional brick-and-mortar retailers and online-only eCommerce shops to shift their strategies to accommodate customers on mobile devices. Whether you're online-only or taking an omni-channel approach, a focus on a mobile commerce (or "mCommerce") strategy will help you achieve your overall goals. 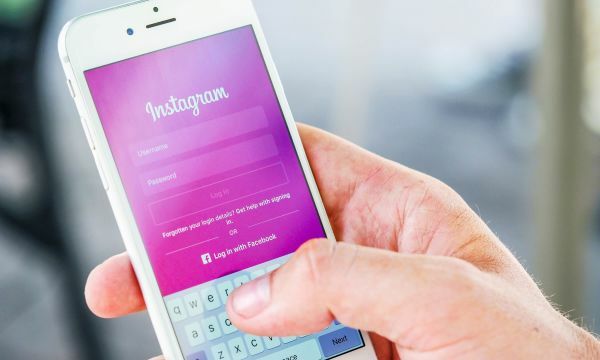 According to research from Instagram, 84% of smartphone users in the U.S. browse, research, or compare products via a web browser or mobile app, but do they use mobile to buy? In the past, mobile shoppers would start their shopping journey with product research on their phones, but they were more likely to complete their purchase online via desktop or in a store. While this is still a common path to purchase, more and more customers come to mobile sites ready to buy. According to Criteo, nearly 36% of online sales in Q4 2017 were on mobile, and that's up some 20% from two years prior. While desktop may still be the dominant channel, mobile also influences purchases on desktop: more than 1 in 4 purchases on desktop were preceded by a click on a mobile device. Furthermore, Criteo reports retailers with low mobile sales tend to have higher cross-device conversions on desktop. Why? Perhaps customers intending to purchase on mobile move to desktop to complete a purchase simply because it is too difficult or frustrating to complete purchases on sites that weren't mobile optimized. As eCommerce leaders like Amazon have optimized the mobile experience both on app and mobile web, customer expectations have risen. Customers now expect the mobile experience of your online store to be fast, low-friction, and intuitive, even when it spans multiple devices. Whether you're optimizing to support mobile browsers or shoppers, you need to make sure your site is fast. Consumers today have exceptionally high standards for the mobile experience. Google reports that almost 30% of smartphone users will immediately switch to another site or app if it doesn’t satisfy their needs, and a majority (70%) report that they'll leave a site if it takes too long to load. Speed matters. How fast is fast enough? ECommerce shops should aim to load in at least 3 seconds. But, don't stop there. Aim to load faster than your biggest competitors. Shoppers who visit fast websites aren't just more likely to convert; they're more likely to browse and add additional products to their orders. Some causes of slowness—like the shopper's network—are out of your control. You can't control whether a shopper is connected to a good wi-fi network or whether they're stuck using a 3G on the go. While considering user connection speeds might feel like an "EDGE" case, it's best to optimize your website to load quickly even when network speed is less than ideal. Take the extra steps to ensure your product images are optimized, and look out for third-party scripts or pixels that could be making your website laggy on the front-end. Then, look for areas of friction and streamline. Whether it's super frustrating or just slowing things down, any friction in your mobile experience will increase the likelihood that your visitor will bounce from browsing or abandon a cart. Google has found two-thirds will switch to another site if it takes too many steps to purchase or find the desired information. For example, if you're looking to reduce steps for shoppers browsing for product details, make sure they're readily visible next to the product images and not buried under a hover event or a "click to learn more." Of course, you can turn to FullStory to help. Use FullStory's funnels to quickly spot drop-off points in your funnel. Then, dive down into session replay to get insights about exactly which parts of the experience could be streamlined or optimized. If you're looking to reduce steps for shoppers in their checkout process, consider using a digital wallet or one-click payment option, like PayPal One-click or Apple Pay, so that customers can re-use the credit card details or shipping options they have saved with their favorite service. Have a digital wallet in your checkout flow already? Create a FullStory segment to analyze the conversion rates via your one-click option compared to your traditional "input your credit card information" flow. If you see that your one-click option performs much better, consider revealing that option early in your 'Add to cart' modal to increase the likelihood of quick conversions. Look out for pesky sign-in forms interrupting conversions. How many people get derailed forgetting their username or password when they're trying to check out? How many people with accounts use the 'Guest checkout' option to avoid that hassle? Use FullStory Error Clicks to get a handle on how many customers encounter password errors or other problems trying to sign in before checking out. Bookmark the 7 causes of bad user experiences to make sure you're not inadvertently frustrating your users with other sources of friction. If you're sending promotions to your customers via email, it's most likely that they'll open the email on their phone, which means that their email click-throughs are likely to be happening on mobile, too. Make sure that your hard-earned email clicks aren’t going to waste because of the mobile experience on the other side. You can use FullStory to search for customers by email campaign (referencing UTM parameters) and then watch sessions or check out your conversion funnels to understand the experience and performance of those campaigns from email to your online store. Learn how to set up mobile-specific searches in FullStory. The key to being able to optimize your mobile customer experience for your eCommerce business is having the power to understand it from the perspective of individual customers. A session replay tool—one you can search like FullStory—can help you get a complete picture of how your customers interact with your site, no matter the device, and eliminate uncertainty. Stop wondering, "What is my mobile user experience really like?" If you're ready to meet your customers where they are on mobile, FullStory is ready to give you an eCommerce competitive advantage. How is your team approaching making mobile fast and frictionless? 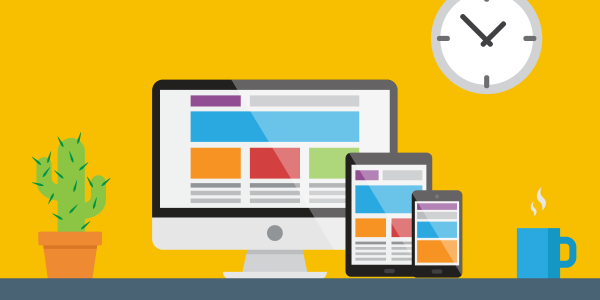 How are you measuring cross-device user behavior? We'd love to hear your thoughts in the comments below.